Almost a year ago, in March 2016, I started eating a Keto Diet. When I say “diet” ai am not talking about starting to eat a diet where it is all about losing weight, something that after 60 days I am going to go back to “eating regular”. No, what I am talking about is a lifestyle change. We all eat a diet, we are not all “on” a diet, though. I am eating a diet and making that my lifestyle. Basically, Keto is a LOW Carb, High Fat diet. You get about 65 to 70% of your calories from fat, 20 to 25% from protein, and 5% or so from carbs. I try to eat as few carbs as possible. This keto diet has done wonders in controlling my diabetes. When I first started eating keto, I lost a fair amount of weight, about 30 pounds or so. This came after gaining about 70 pounds due to using a lot of insulin. I started using Insulin in 2015 to control my diabetes, and I was using 100 units per day. After switching to a Ketogenic eating habit, I am now using 26 units of insulin per day. Insulin promotes weight gain, so I want to use as little as possible and still keep my blood sugar in control. That is why I decided to try Keto, and it has achieved the results I am looking for. In June 2016, though, I had a heart attack. My doctor was not happy about my Keto diet, he encouraged me to eat more carbs, and I agreed to make a small increase in my carb intake. I did that for about 6 months or so and spent that time researching about Keto lifestyle and its relation to heart disease. There really was no correlation that I could find, and in fact, one of the major risk factors for heart disease is diabetes, so I felt that by keeping my diabetes in tight control, it was very good for my heart. Because of the research I did, I decided to go back to Keto in December 2016 or January 2017, I don’t recall exactly when I made the decision. I have been eating full out keto for a couple of months now, my blood sugar is in great control, and I am feeling good. Problem is, I am not really losing weight! I am keeping my weight at a fairly consistent number, but I want to lose some weight. I don’t ever expect to be a fitness guru or start doing male modeling, but I want to be healthier and to feel better. Recently, I started hearing about “Keto IF“. Hmm… what is IF? IF stands for “Intermittent Fasting”. Basically, you fast part of the day each day, and you eat only a few hours per day. You can choose your own level of IF. It is common for people to do a 16/8 IF, or maybe an 18/6 or something like that. If you do a 16/8 IF that means that you fast 16 hours per day, and for 8 hours per day you eat a keto diet. They say you can eat as many calories as you want during the “eating hours”. Today, I started giving it a try, to see if I can kick start some weight loss. I am writing this on Tuesday, February 14, and it is 10:12 AM as I type this. I will publish this post tomorrow. The last time I ate was at about 7 PM last night, and I am not hungry. My plan is to eat a small lunch at 2 PM this afternoon, which will be 19 hours of fasting. I will eat a normal keto dinner at 6 or 6:30 tonight, and by 7 PM I will not eat again today. So, if I maintain that schedule, I will be doing a 19/5 IF. Right now, I do not feel hungry, and I hope that lasts until 2 PM when I will eat something. I have been drinking coffee this morning, and I think that has helped keep my appetite low. I am looking forward to seeing what kind of results come with this new Keto IF that I am trying! Bob if you haven’t done so already you need so Get some KETONE test strips. And if at all possible read Dr. Atkins book about diet. Atkins Diabetes Revolution or Dr Atkins’ New Diet Revolution. As for your “not really losing weight” the ketone strips will tell you if you are or are not. 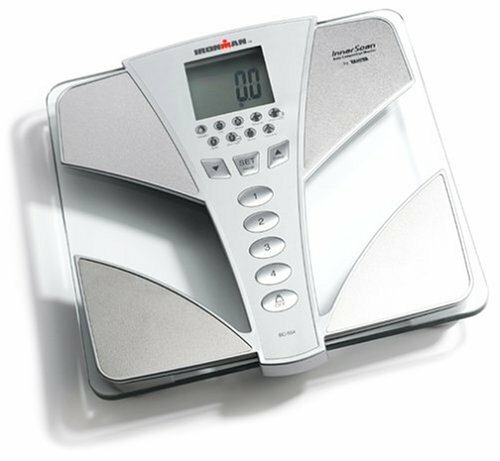 Atkins tells us that on his diet you will lose weight but at certain points (generally points where you were the same weight for a long period) you may not show it on the scales but your measurements show a reduction in size. Then suddenly your weight will suddenly drop. After dieting many Fat people’s mobilization will adjust to where they maintain their weight with as little as 700 calories a day which kills a diet. You cut back from three or four thousand calories and lose weight, but less and less, to where you are maintaining at 700 calories, REAL BUMMER. Atkins studies showed that a person strictly limiting carbs (less than 10 a day) losses weight twice as fast as some one fasting. Ketone strips tell you if your body is using your fat carbs to maintain itself; if it is you are losing weight. I don’t have sugar diabetes. I have tried this diet with varying degrees of success as a food aholik. after wanting to get back on the diet for the past year I ran across your weight writings Sixteen days ago and decided to do Atkins Diet for real: I lost 18 # the first 13 days and 1/2 # during the last three days. I will stay on the diet for the next 30 days and then I hope to stay on the modified version, but who knows, I’ll be back in the PI and Tanduay and SMB’s are hard to resist. Hi Loren. since the time I wrote that article, I have lost about 11 pounds. Do things are going well.